Democrats and Republicans are calling for Virginia Gov. 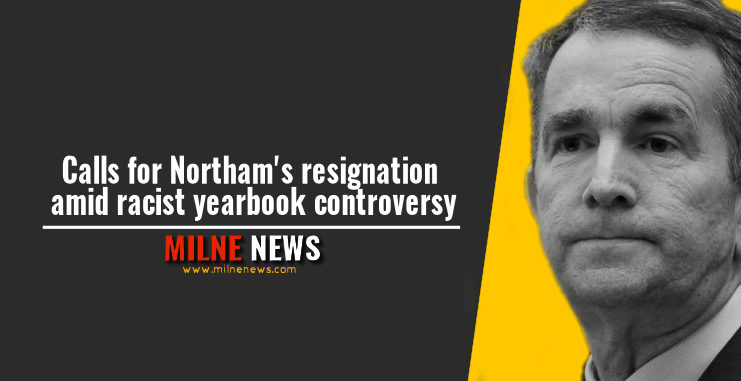 Ralph Northam to resign after the Democratic lawmaker apologized for appearing in a “racist and offensive” photo from his medical school 1984 yearbook page. Northam admitted to being one of the people in the controversial photo, which depicted a man dressed in blackface and another in a KKK robe. Although he hasn’t made it clear which costume he was wearing at the time. Politicians said Northam should step down from his position, including presidential candidates Sen. Kamala Harris and Julian Castro. Julián Castro agreed, adding that Northam’s political affiliation was of no consequence in this situation. “It doesn’t matter if he is a Republican or a Democrat. This behavior was racist and unconscionable. Governor Northam should resign,” he tweeted. At this stage, Northam has no immediate plans to step down. Kellyanne Conway also tweeted about Northam while referencing the focus Supreme Court Justice Brett Kavanaugh’s high school yearbook received during his confirmation fight last year. “This should be easier work than parsing every word and semicolon in the Kavanaugh yearbook,” she Tweeted. GOP Sen. Tim Scott noted Northam’s apology and said while it was “good,” it doesn’t rectify the situation. To be clear, while a quick apology is good, it does not excuse the choices made by @GovernorVA as an adult enrolled in medical school. The people of VA will make their voices heard;I hope they will shout far&wide that there are consequences for such showcases of prejudice&hate. If you advocate for infanticide you have no business holding public office. If you don a mask or a hood of racism and hatred you have no business in our public discourse. Governor Northam needs to step aside. New York Democrat Sen. Kirsten Gillibrand tweeted that “there aren’t two sets of rules for our friends and our foes” and that Northam should step down.